One of the more popular services offered by Dr. Alex Cocoziello is Botox injections. This procedure is a non-surgical treatment that can be done in a short amount of time with literally no down time. 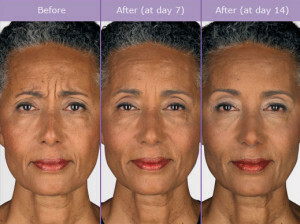 Botox is effective in minimizing facial wrinkles, literally taking years off your appearance. THE RESULTS WITH BOTOX ARE AMAZING! What exactly is Botox? Botox is a naturally occurring protein, Botulinum type A, which relaxes the muscles in the face that cause creasing. This creasing results in wrinkles. Once the muscles are relaxed, the skin remains smooth allowing you to have a more youthful appearance. The procedure itself consists of tiny injections to the targeted areas. It takes approximately 30 minutes to complete a treatment in our sterile, comfortable medical office. Since the treatments are not time consuming, you can schedule an appointment to have this done during your lunch hour or in between errands. You can go back to your normal activities right away! The results from the procedure take a few days to appear. Usually in a week’s time you will realize the total smoothing effects of your treatment. One treatment with Botox is not a permanent solution to the wrinkles appearing on your face. The result from your first treatment will last about 90 days. Additional treatments will last longer. As with any procedure, risks can occur. The risks involved in Botox treatments are minimal. There can be swelling of the injection site or some bruising. Both of these reactions are temporary. A rare side effect is lid ptosis, a sagging of the upper eyelid. This side effect is caused by the Botox serum traveling from the injection area and affecting surrounding muscles. There are prescription eye drops to help with this side effect, should it occur. 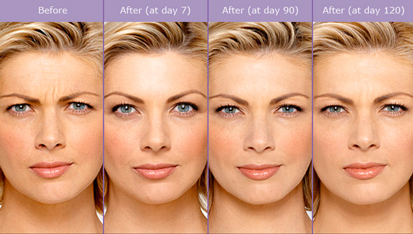 Always keep in mind that Botox gradually wears off in time and if there are side effects, they will gradually fade. Schedule a FREE consultation appointment today with Dr. Alex Cocoziello to discover how simple this treatment can be. Botox is a treatment that works well with other appearance enhancing treatments, so inquire as to all your options. Dr. Alex can answer any questions you have and together you can come up with a plan to take years off your appearance. 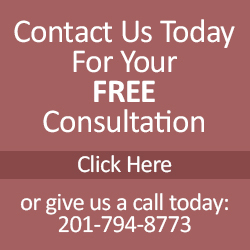 The medical office of Dr. Alex Cocoziello is a highly recognized practice for Botox in NJ, Bergen County. His knowledge and experience with Botox treatments can have you looking and feeling fabulous in no time!